Choose your preferred style, then click Start. When PerfectIt finds an error, select the preferred version. Click Fix to make changes. When checking is complete, you can generate a table of abbreviations or carry out other finalizing tasks. Users love PerfectIt because of the time it saves. On AppSource it has a five star rating with more than 100 reviews. 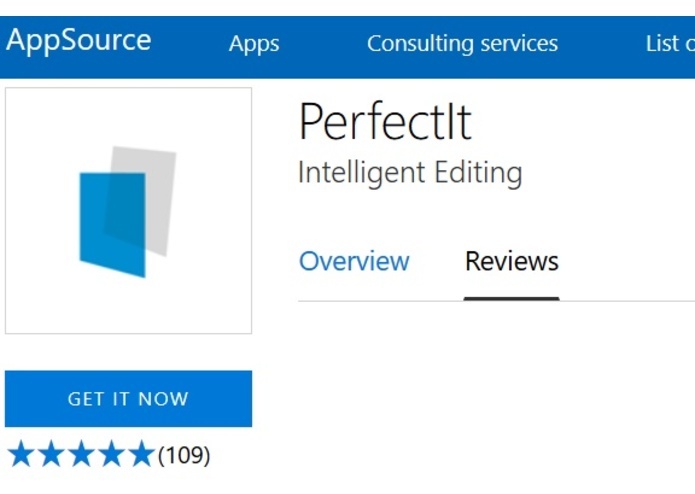 PerfectIt launched in the Office Store in June 2018, and it has quickly become the higest-rated subscription-based add-in for Word with a five star rating based on over 100 reviews. The reason for that success is simple. If you use MS Word professionally then you know what it’s like to lose time to proofreading. Whether it’s a report, proposal, submission, contract, article, dissertation, or book, the amount of time lost to proofreading can be immense. It’s time-consuming and costly. However, it matters because just one mistake can forever alter the impression you make on readers. We speak from experience. We spent over five years writing reports and proposals (and checking everything manually) before we realized there had to be a better way. Now consultants, lawyers, proposal managers, marketers, engineers, editors, authors, and other professionals all use PerfectIt. It dramatically cuts the amount of time spent proofreading and it helps produce better documents in less time. 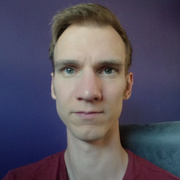 PerfectIt started as a VSTO-based add-in written in C#. That product now has more than 6000 users in 72 countries, ranging from independent freelancers, to governments, universities, transnational institutions, and Fortune 500 companies. However, it only works with Windows. 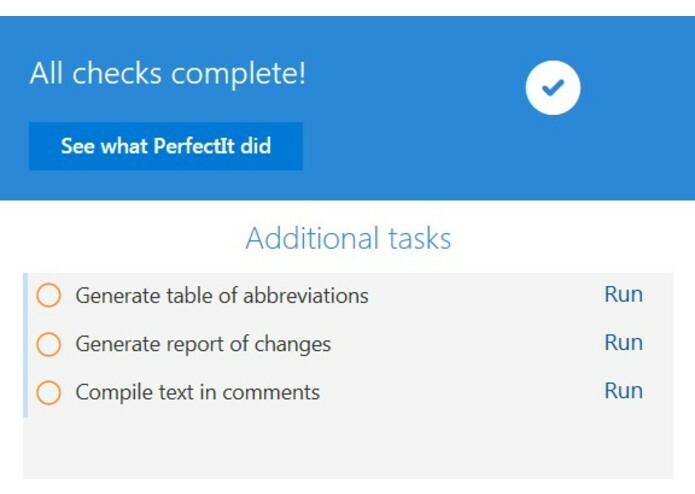 PerfectIt locates errors that no spelling or grammar checker can find. It finds consistency mistakes, style issues and other difficult-to-locate errors in seconds so that proofreading takes less time and authors produce better documents. Hyphenation inconsistency: For example, “e-mail” and “email” don’t belong in the same document. 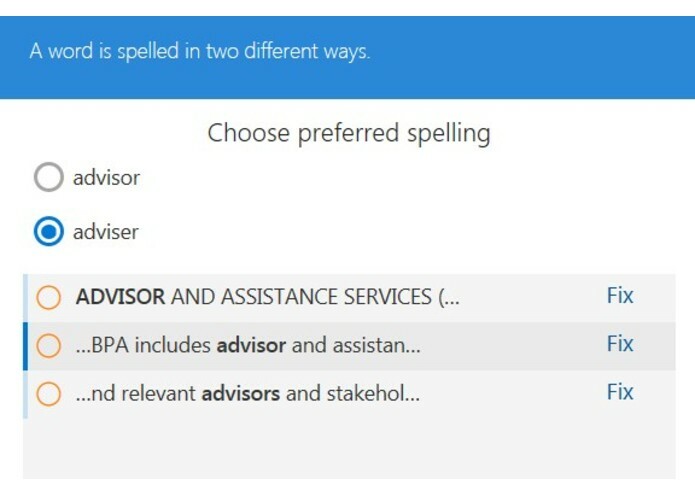 Spelling inconsistency: For example, is it “adviser” or “advisor”? How about “café” (with the accent) or “cafe” (without)? Both are accepted, but you need to choose one and stick with it. Common typos: Since “manger” is a word, many spellcheckers won’t find errors such as “project manger”. Other words such as “public”, “clock”, “shift” and more can lose a single letter and create embarrassing mistakes that no spellchecker will catch. Abbreviations definitions: PerfectIt locates every abbreviation in a document and matches it to its definition. For example, it will find if “DfT” is used before it’s defined as “Department for Transport”. It will also find abbreviations defined twice or defined and then not used. It can even generate an entire table of abbreviations in seconds. Abbreviations without definitions: If abbreviations are used but never defined then that makes documents difficult to understand. PerfectIt finds those abbreviations and prompts for a definition. Capitalization consistency: For example, is it “Government” or “government”? There are some situations where inconsistency is intentional. However, it’s often an error. With PerfectIt, that’s easy to check and correct. Consistency of italics: For example, do foreign words like “ex ante” appear in italics or roman? Either is fine, but a mixture is not. 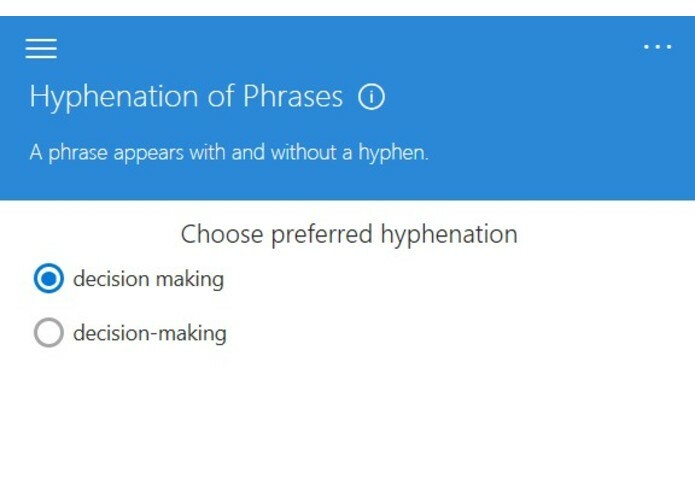 Capitalization in headings: PerfectIt checks each heading level to ensure the use of title case, sentence case or initial capitals is consistent throughout the document. UK, US, CA and Australian spelling: In addition to checking consistency, PerfectIt can check documents against international English spelling variations. Major style manuals: PerfectIt includes European Union, United Nations, World Health Organization and Australian Government styles so users can enforce institutional preferences. Legal corrections: PerfectIt has a specific style sheet for legal documents to enforce preferences for citations formatting, as well as hyphenation, capitalization and italicization rules specific to the practice of law. Brackets and quotes left open. Subscript missing in chemical formulae. 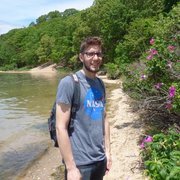 Superscript missing in SI measurements. Punctuation preceded by a space. Multiple spaces that should be one. Trailing spaces at the end of paragraphs. Inconsistent punctuation of lists and tables. Inconsistent capitalization in lists and tables. Editorial comments accidentally left in body text. Combined together, these checks offer an incredible amount of proofreading assistance. The time saving is not measured in seconds or minutes, but in hours! Throughout every check, the user is left in control. Our core philosophy is that human beings make the best editing decisions and they always will. PerfectIt helps them make those decisions faster. We split PerfectIt’s code into server-side and client-side functionality. Now all checking is carried out with one code-base that we use for both our VSTO add-in and our Office Store version. 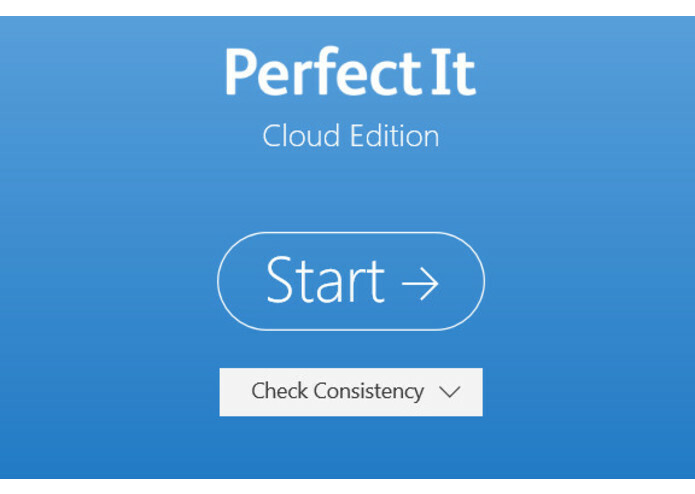 That way PerfectIt’s checking is identical no matter which version users choose. We used Fabric to create a front-end for the Office Store version, and we radically improved the design of that so that it’s easier and faster to use than the original. Tracked changes can interfere with results. A bug in the MatchWholeWord search property means we can’t use it. Instead, we have to use a workaround that can make very long documents slow to work with. At time of writing, PerfectIt has a five star rating with more than 100 reviews in AppSource. PerfectIt is among the highest rated and best reviewed add-ins for Word that is available through the Office Store. 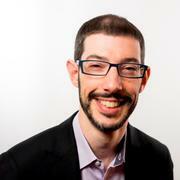 Users adore the product, and it shows in their reaction to it. In addition, the original allows for customization of styles, and we want to make that possible too. Our goal is to make PerfectIt the standard choice for any business looking to increase productivity and cut time spent on proofreading. I have helped to convert older COM checks into the JS API. I developed the original version of PerfectIt and led the team on this one. 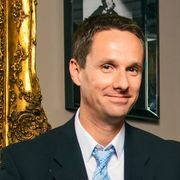 Daniel Heuman is the CEO and Founder of Intelligent Editing. He developed the original version of PerfectIt. I split PerfectIt into client-side and server-side functionality and developed the core functionality for both. I developed the licensing system to commercialise the new product. I designed and built the new UI for PerfectIt, making it simpler and easier to use.